Elephants foot or Ponytail Palm are the common names of this easy to care for houseplant. Distinctive thick brown stem with fronds of thin dark green curly leaves. 9cm plant. Our plant selection, cultivated in Thailand (where ideal climate conditions ensure the highest possible quality and the lowest possible impact on the environment) are cultivated without any use of energy for heating or artificial lighting. 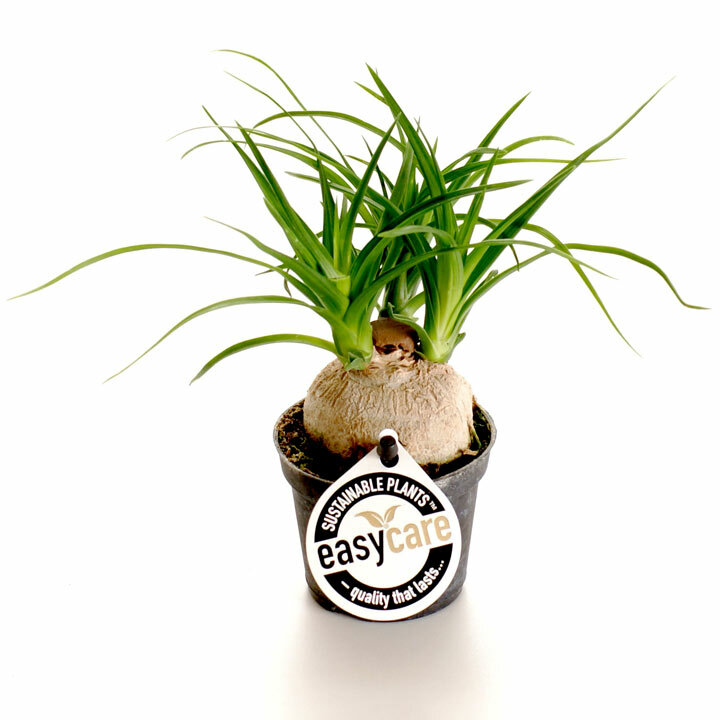 Selected from some of the most resilient that nature has to offer, they will thrive in your home for a long time to come.